This photograph depicts a dorsal view of an adult female Haemaphysalis longicornis tick, commonly known as the longhorned tick. This specimen was a meandering about, climbing a blade of grass. 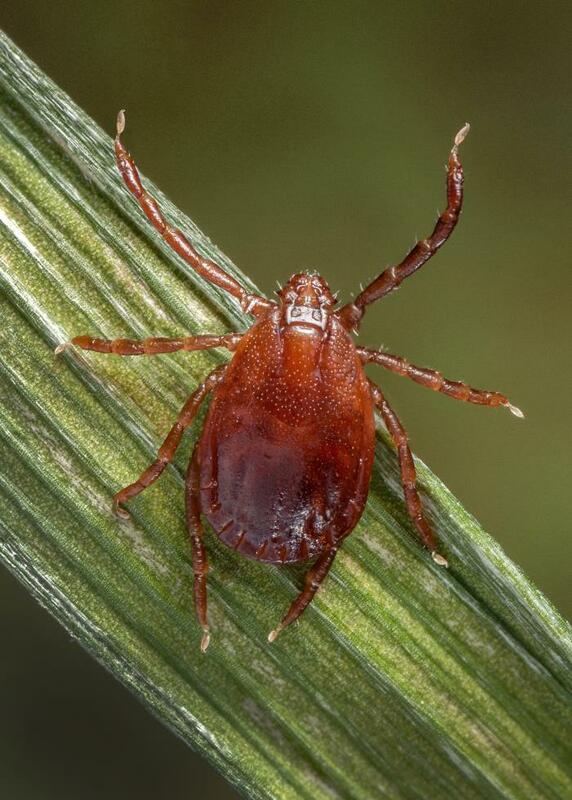 Ticks are able to reproduce in an asexual manner. Males are rare.